Sent a letter, Sports Illustrated, silver Sharpie, $10, SASE on 7/22/15, addressed to: P.O. 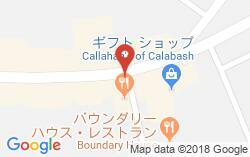 Box 4173, Calabash, NC 28467. SASE returned 7/31/15 with SI signed and personalized in silver, and with 1969 NFL MVP added(As requested). Mr. Gabriel also added a signed Press Pass Legends Hall Of Fame Edition card. Nice, quick return. Sorry no photo.